GREENGirt Clip – Thermal Spacers join the building cladding and insulation to a building structure. It’s an insulated composite sub-framing component in the SMARTci assembly. GREENGirt is revolutionary in the way it eliminates the problem of thermal bridging and it boasts the highest thermal-efficiency rating in the industry at 99%+. GREENGirt Clips is a recycled building life product that will help with LEED certification. GREENGirt Clip – Thermal Spacer Series sFRP is a composite sub-framing system to house the CI (continuous insulation) specified and provide a universal cladding attachment support – ensuring zero thermal bridging. 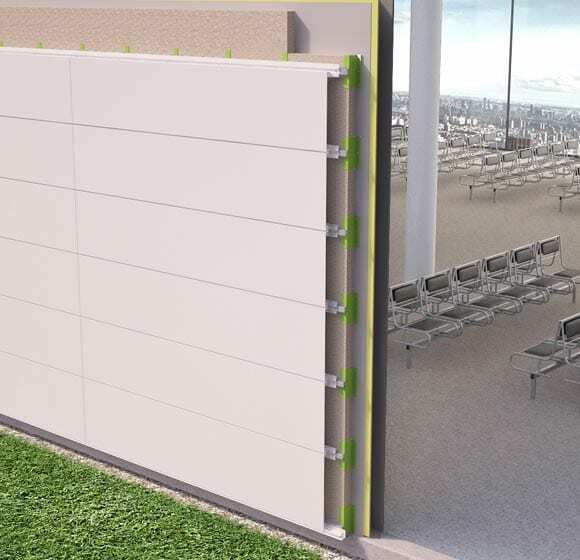 It can be used on any substrate or cladding, and can be installed horizontally, vertically or diagonally. It is best used in exterior wall applications and is installed over solid substrates in a vertical application.